Only Administrator accounts can upload data to Thematic. 1. Log into Thematic and open the top right drop-down menu. Click "Upload Data". 2. Only data sets that are accepting new data will be visible. Drag your CSV (.csv) or Excel file from your finder or file browser into the grey section under the correct data set to upload it, or click to upload and select the file on your computer. 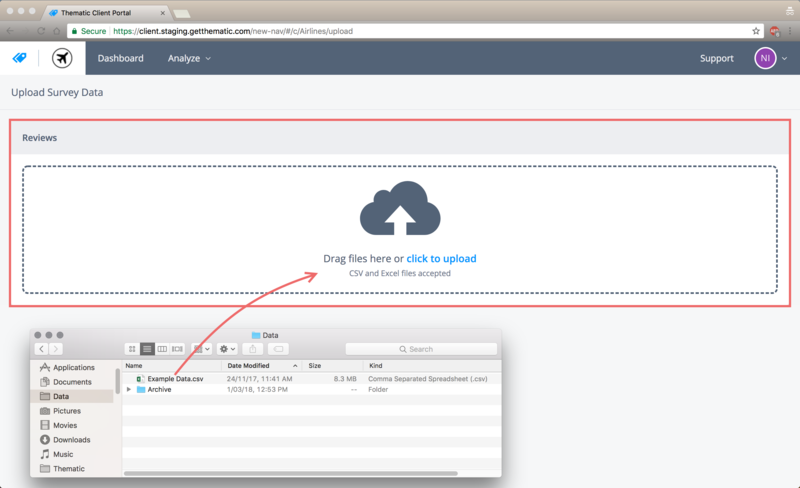 You can zip your excel or csv files to upload them faster. 4. 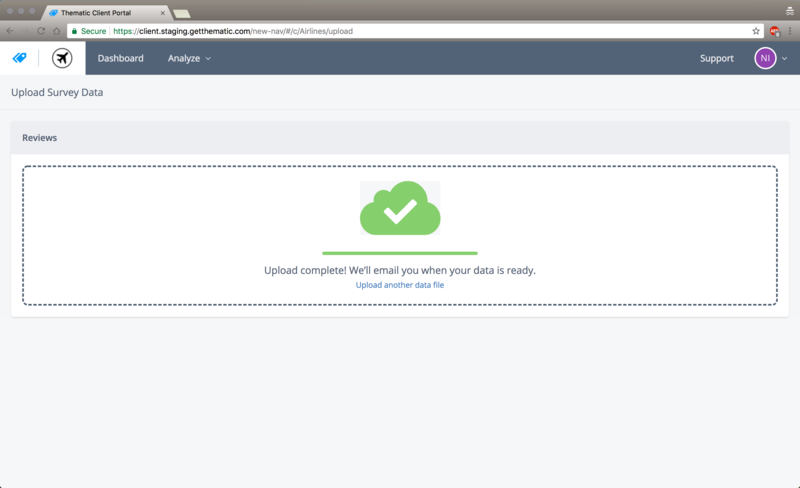 The cloud will turn green once your data has been successfully uploaded. 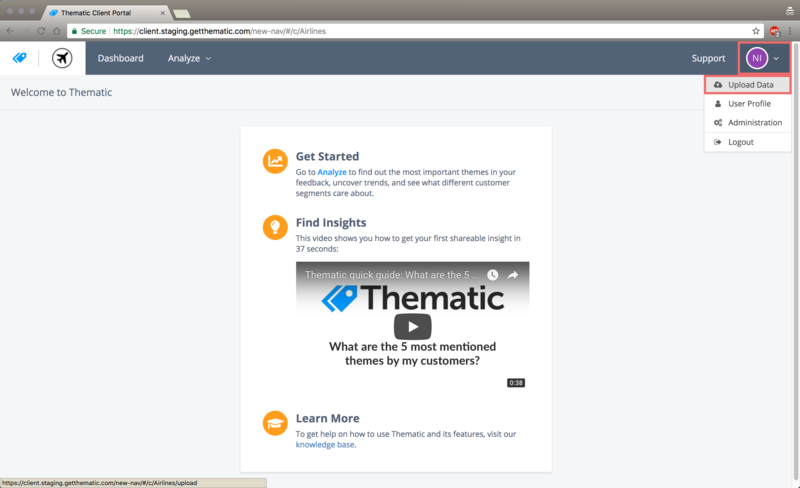 Thematic will process your data and email you when it becomes available in the portal.